This 2 CD set offers a feast of 74 new Murray Gold themes, covering music from all 13 stories of Series 7. You can download Doctor Who Series 7 – Original TV Soundtrack from Silva Screen, and you can also listen to clips from the soundtrack here. Uniquely this series was made up of 13 self-contained stories and this 2 CD set offers a feast of new themes with music from each and every story and is the eighth soundtrack release since 2006. Gold’s phenomenal output as a composer began close to twenty years ago and he has stacked up five BAFTA nominations (two for Doctor Who) plus three Royal Television Society nominations and a win for Queer As Folk. In 2013 Murray Gold celebrated one his greatest musical accomplishments with a third Doctor Who Prom at the Royal Albert Hall celebrating his distinctive scores. 33. 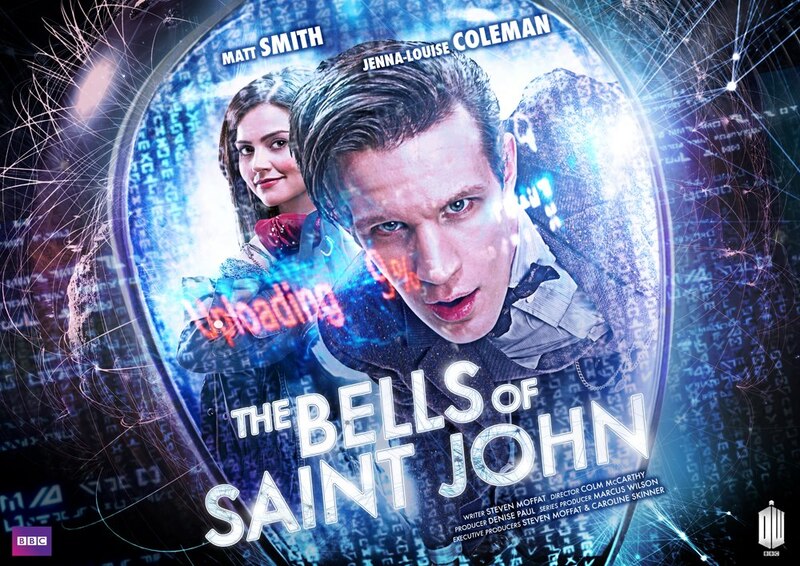 The Bells Of Saint John – Clara? 32. The Name Of The Doctor – What Is His Name? Behind the scenes with Matt Smith (the Eleventh Doctor), Jenna-Louise Coleman (Clara Oswald), Steven Moffat and Dan Starkey (Strax). Just a few day until the name of the Doctor, his greatest secret, will be revealed. What’s Clara’s purpose, who is she? Matt Smith and Jenna-Louise Coleman reveal what they love about the epic series finale. Watch an All New Doctor Who Inside Look at “Nightmare in Silver”, the eleventh episode from Doctor Who series 7 – featuring Exclusive Interviews with lead writer & executive producer Steven Moffat and star Matt Smith. Clara learns the terrible truth about the Cyber wars. 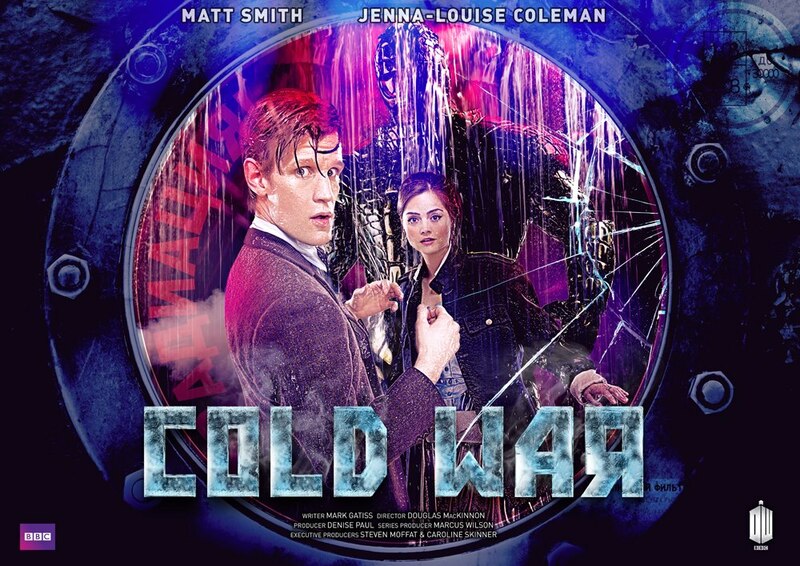 The Doctor faces new, even deadlier Cybermen in this action-packed episode by Neil Gaiman. On the other hand, “It’s hard to fight an enemy that uses your armies as spare parts…” Warwick Davis guest stars in ‘Nightmare in Silver’. In the next episode, Nightmare in Silver, the Doctor faces new, even deadlier Cybermen in this action-packed episode by Neil Gaiman. The Doctor has been talked by Clara Oswald into taking the two kids she looks after, Artie and Angie, for an excursion, a day out, after they blackmailed her. The Doctor decides to take them to Hedgewick’s World, the biggest, best and most wonderful amusement park in the galaxy, a quarter of a million years in the future, because he has a golden ticket and it gets four people in for free, gets you free ice creams and it gets you to the front of any line, which is great because the lines for the Spacey Zoomer can go on for weeks. And that’s where it starts. Unfortunately, it also starts with them discovering that Hedgewick’s World has been closed for several years and there’s almost nobody on it now except for a small army troop on manoeuvres and a mad old showman named Mr Webley who landed his spaceship there after it closed and is now there with a Cyberman that plays chess. That’s where it begins. This is also 1,000 years after the end of the big human/Cyberman war – where the humans won. 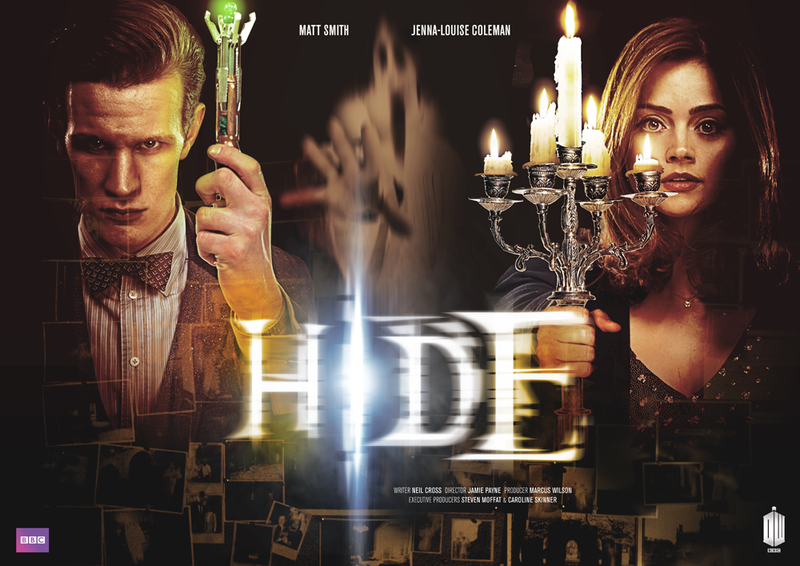 Behind the scenes of The Crimson Horror with Matt Smith and Jenna-Louise Coleman. Narrated by Richard Bacon. In “The Crimson Horror” there’s something very odd about Mrs Gilly flower’s Sweetville mill, with its perfectly clean streets and beautiful people. There’s something even stranger about the bodies washing up in the river, all bright red and waxy. 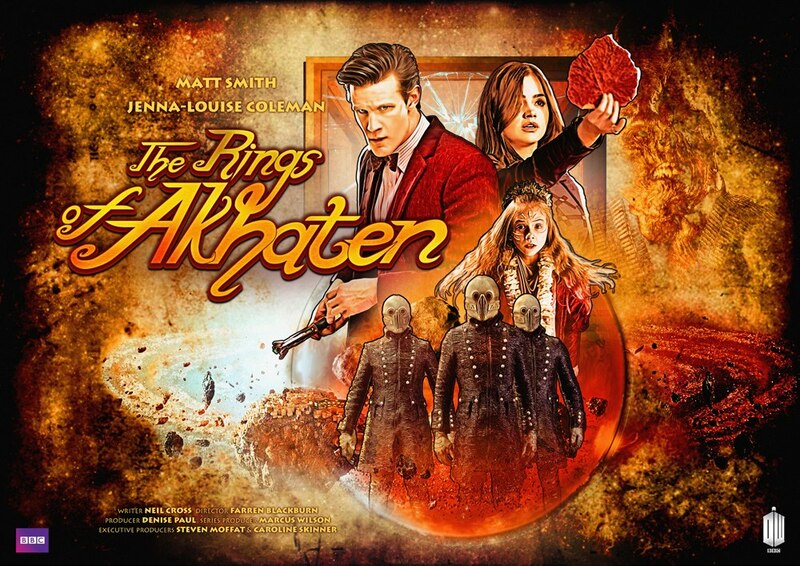 When the Doctor (Matt Smith) and his companion, Clara Oswald (Jenna-Louise Coleman), go missing, it’s up to Vastra (Neve McIntosh), Jenny (Catrin Stewart) and Strax (Dan Starkey) to rescue them before they too fall victim to the Crimson Horror! With special guests Diana Rigg and Diana’s daughter Rachel Stirling appearing together on screen for the first time! Oswin Oswald, Clara Oswin Oaswald, now fully converted into a Dalek, struggles to accept that she is no longer human, before advising the Doctor to run for his life. Memorable scenes from Asylum of the Daleks, Doctor Who series 7. Only 2 weeks remaining to the second part of Doctor Who 7 series (the Doctor will return to BBC 1 on 30th of March)… a new trailer has just been released. A new companion, 8 new episodes… March 30. You know it, right? 😀 Series 7 of Doctor Who is NOT over yet. Yes, there it was a break before The Snowmen, Christmas Special episode, but the show will go on next year on BBC One and BBC America.